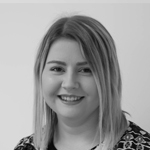 Emily is our culture expert, she loves all things art and design and will share her insider knowledge of the coolest places to visit when abroad. The last place you will find her is laid by the pool or sunning on the beach. Emily is also a massive foodie and is always checking out the hottest new restaurants and bars.